Do you need a custom, native iOS, Android or Windows app? Prefer a cross-platform responsive web app? Require a secure backend? If you want it, we can build it.We develop comprehensive smartphone applications: logos, designs and texts to ensure you and your users are fully satisfied. We make the User Experience more suitable for your app. UX is the content management discipline: we study the path of users within your app, create tailor-made texts, and split them up in the best way. We know how to make sure your app is perfectly navigable from any device, iOS, and Android. Evolve is here to help you get the most out of your app. Mobile apps to expand your presence in the digital world. Do you need a custom app, iOS, Android or Windows? Do you prefer a web app that’s right for any platform? Requires a secure backend? If you need it, we can build it. We develop comprehensive smartphone applications: logos, maps and texts to ensure that users are fully satisfied. We make the best user experience for your app. User experience is the content management discipline: we study the steps that a user follows in your app and create the app to make the experience as enjoyable as possible. 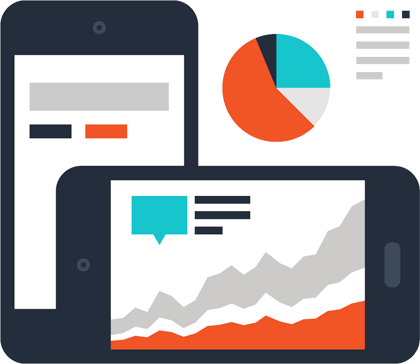 We know how to make sure your app is completely navigable from any device, iOS, and Android. We can design and develop for every business and usable in all types of devises. A mobile app can be a good marketing tool which will cause many people to see and get acquainted with the business thus creating even a new way to be closer to the customer. We develop mobile applications that suit the ever-growing market needs. Due to the fact that the mobile industry has experienced great growth, mobile application developing has massive demands. Nowadays, all businesses are aware of the strength and importance of building mobile applications as a bridge and interacting with all of their customers. We at EVOLVE with our team of experts will offer you the best experience for users, applications, with the highest performance. Thanks to their expertise in building applications, our professional team can develop great mobile applications to achieve impressive performance and performance across all devices. By utilizing all the features that the platform offers, we create the most exceptional, reliable, and most valued mobile experiences. We follow the industry’s best practices to build mobile applications. Evolve has a long experience on design and develop mobile application and can reach all the different request of all kind of business, offering services and products. EVOLVE develop applications to adapt to ever-growing market needs and the growing demands of businesses. Taking due to the well-known fact that the mobile industry has experienced great development, the development of mobile applications has been very high, with businesses of different character. Nowadays, all businesses are aware of the strength and importance of building mobile applications as a bridge and interacting with all of their customers. Developing mobile applications is a necessity in the digital world that we live in. Every business needs the construction of mobile applications because it makes it easier to connect with customers anywhere and anytime. Building mobile applications for any system is an opportunity to increase your company’s profit regardless of what product or service you have. Mobile application building brings you closer to your customer service and also increases the number of new customers that can get to know more quickly and safely with the products or services you offer. Mobile applications, as a very simple but profitable business solution today, bring a growing demand for the construction of diverse mobile apps, different for each business, and this brings to us an opportunity to meet the multiple demands of many businesses. Mobile applications have become a major element today in the overall marketing of the various industries. With the dynamism that the world today have taken, the fact that they are increasingly moving on the move, people are looking for new opportunities for access information quickly and safely. This desire for speedy and versatile information brought increased demand for the development of mobile applications that are among the most used by businesses to reach their customers’ direct location wherever they are. Mobile applications, besides keeping in touch existing customers, help companies gain new loyal customers by significantly increasing sales. Mobile applications are the most innovative solution for your businesses. The development of mobile applications with Evolve Studio is the ability to have fast, secure mobile apps for mobile phones that meet the precision of any business you have. 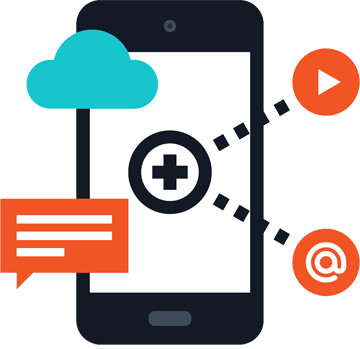 App Mobile development is a easy way for all the bossiness that want to reach more and more client. We design appropriate mobile app for you company needs and we help you being always where you clients are. Development of mobile applications for each system is an opportunity to increase profits for your companies regardless of what product or service you offer. Development of mobile applications brings you closer to your customers and also brings increasing number of new customers that can be recognized more quickly and more safely with products or services that you offer. Developing mobile app helps your business to as close to the customer but also the client to find and have your service always when he needs it. Construction of mobile applications with Evolve Studio is the possibility of having quick mobile App Engine, safe and meet the expectations of every type of business you have. A mobile app can be a good marketing tool that will make many people see and get acquainted with business while creating a new way to be closer to the customer. Building mobile applications today is a very effective solution for businesses and customers to connect more with each other. Mobile applications are diversified, but to be successful as a business, you must have the appropriate application, which has the proper functionality . Our team support is here to help you develop applications that you need .Ne we are here to support your business to develop applications and to be competitive in the market. Although requirements for building applications may vary significantly from one business to another, we ensure that your requirements are met in a timely manner to satisfy the user experience.